Nvidia has laid siege to the high-end desktop graphics market in recent months, with the GeForce GTX Titan X, GTX 1080 and GTX 1070 all largely unchallenged at the top of the consumer GPU hierarchy. Hoping to continue its dominance in high-end laptops, the graphics giant is now flexing its muscle with the launch of mobile variants of the GTX 1080, 1070 and 1060 GPUs going by exactly the same names. 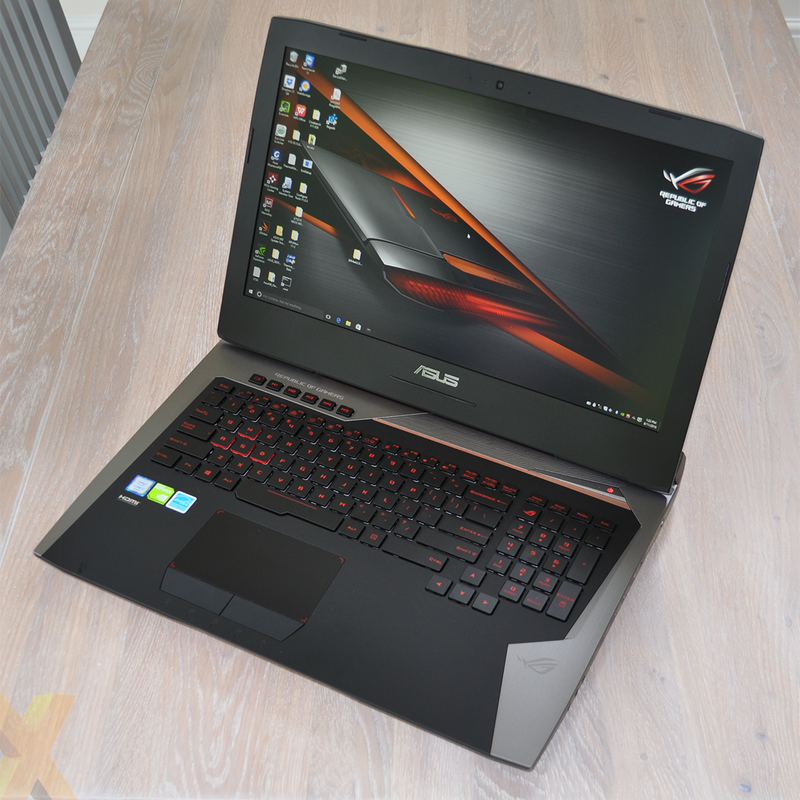 To find out the how the middle-of-the-pack GTX 1070 fares, Asus sent in a last-minute, pre-production sample of an upcoming 17in behemoth, the ROG G752VS. Look familiar? That'd be because Asus isn't going all-out with a new chassis design. Rather, it's repurposing the enclosure that was recently used to house the ROG G752VY. The manufacturer sees no need to change a design that works, and for users who know what to expect from an extreme 17in laptop, the ROG G752VS fits the bill. Generous 416mm x 322mm x 49mm proportions appear to be at odds with a portable PC - as does the near-4.5kg weight - yet if performance is the name of the game, the chassis gives Asus room to squeeze-in everything but the kitchen sink. The left side of the unit is home to a Blu-ray optical drive, an SD card reader and dual USB 3.0 ports, while on the right edge you'll find a trio of audio jacks, USB 3.1 Type-C, two more USB 3.0, mini DisplayPort, HDMI, Gigabit Ethernet and a connector for the external 230W power supply. There's more than enough space for a full-size backlit keyboard and a spacious trackpad with dedicated buttons, and Asus is likely to offer two matte display panels in the initial run; full-HD IPS (1,920x1,080); or 4K UHD IPS (3,840x2,160). Both are said to offer G-Sync support, and though a touchscreen option isn't available, the latter is rumoured to offer 100 per cent Adobe RGB coverage. Intel's Core i7-6820HK is the quad-core CPU of choice and it's joined by 64GB of DDR4-2400 memory as well as a fast 512GB Toshiba NVMe M.2 SSD. Sounds tantalising, but Asus is keen to point out that the final UK configuration may change prior to a Q4 release, and given that the specification is yet to be finalised, there's no word on MSRP. 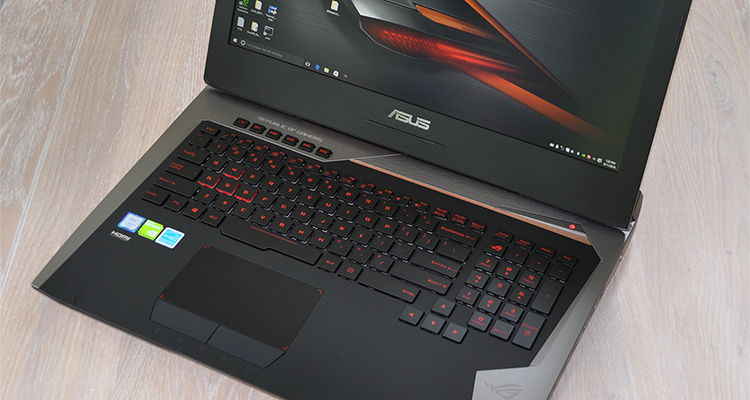 You don't, however, need us to tell you that the ROG G752VS will fetch a pretty penny. What's really of interest here is the GeForce GTX 1070 GPU that's lying in wait. Following in the footsteps of last year's mobile GeForce GTX 980, the latest addition to Nvidia's mobile line-up appears to be the same chip used on the desktop graphics card. Gone is the 'M' suffix that has historically been used to identify mobile parts hamstrung in comparison to their desktop equivalents, yet the GTX 1070 is intriguing insofar as there's more to the latest GTX 10-series GPU than first meets the eye. As the above table illustrates, the 16nm Pascal GP104 die that made its debut as the GeForce GTX 1080 has been reimagined in a couple of different ways. 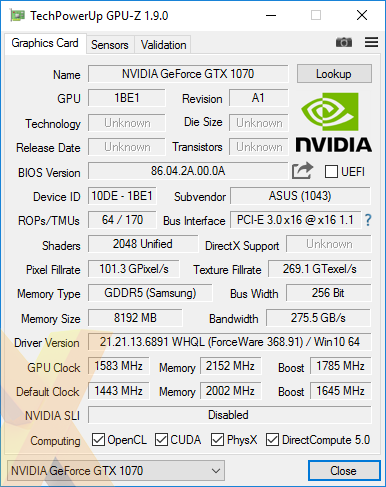 As we already know, five SMs were disabled to enable the creation of the lower-cost desktop GeForce GTX 1070, and though we'd expected the same configuration for the mobile part, Nvidia has added a twist to proceedings by raising the SM count from 15 to 16. This surprising development gives the mobile GTX 1070 a total of 2,048 shaders allied to 128 texture units, representing a seven per cent increase over its desktop counterpart. Don't start jumping for joy just yet, though, as the benefit of the additional SM unit is countered by lower shipping frequencies. 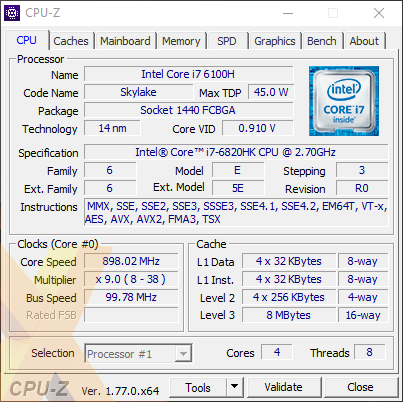 Core and boost clocks are set at 1,443MHz and 1,645MHz, respectively - down four per cent against the desktop - yet peak gigaflops is up from 6,463 to 6,738. Why Nvidia has chosen to go with 16 SMs in the mobile GTX 1070 is unclear, and it does result in an unexpected performance advantage: the GTX 1070 in laptops is going to be faster than the desktop Founders Edition. Some of that advantage will be mitigated by less potent mobile CPUs, yet the lines are definitely blurred and it's clear to see why Nvidia is moving away from mobile branding - going forward it expects there to be hardly any perceivable performance trade-off between high-end mobile and desktop parts. And don't expect the frequency downgrade to be a stumbling block, either. Citing the efficiency of the Pascal architecture, Nvidia reckons its latest mobile GPUs are prime candidates for overclocking. Asus is only too willing to oblige, as it has the GTX 1070 base clock ramped-up from 1,443MHz to 1,583MHz, while boost clock climbs from 1,645MHz to 1,785MHz. 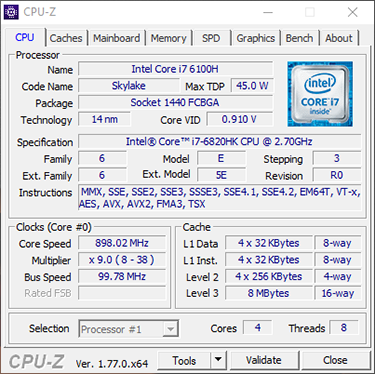 A healthy out-the-box increase and, as pictured above, the ROG G752VS's Core i7-6820HK processor is also overclocked to 3.8GHz by default. We had expected the heightened speeds to be an optional extra, but Asus has confirmed that the G752VS will ship overclocked as standard and will only revert to reference frequencies when running on battery power. Mobile gaming, it seems, is about to get a significant injection of speed, so let's fire up our array of benchmarks and see what GTX 1070 has in store.